MudLOVE products are skillfully crafted from clay by our passionate team of artisans. 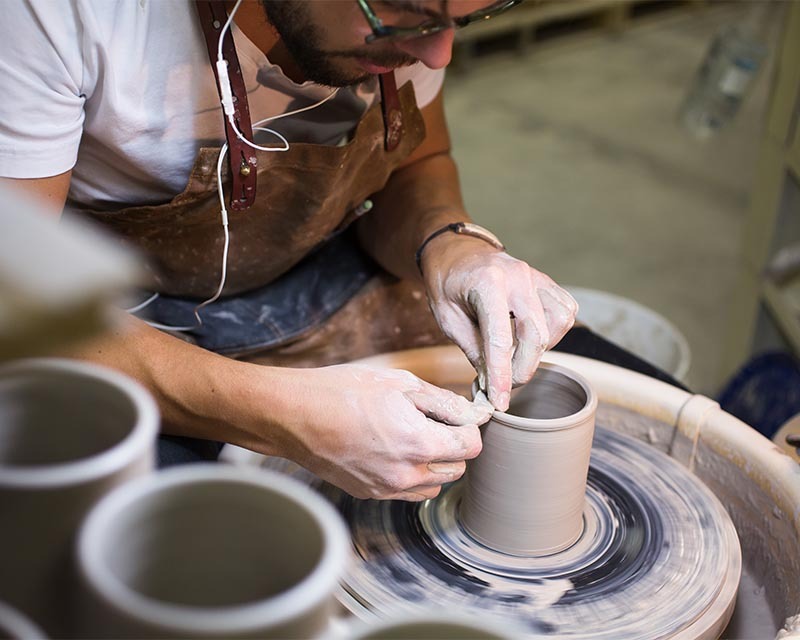 From bracelets to mugs, each piece is a unique labor of love..
We believe in the power of handcrafted. Every MudLOVE product is proudly handcrafted in Warsaw, Indiana (other than our Viona bracelets- check out that story here!). Watch the full life cycle of a bracelet- from mud to final product. Every step of the handcrafted process is an opportunity to improve. The better we get at what we do, the better we can serve our community. We are constantly working to make our method the best that it can be- while still preserving our main mission; handcrafted, with care. We’re committed to making products that not only look good, but are safe to use. Our clay is 100% non-hazardous. 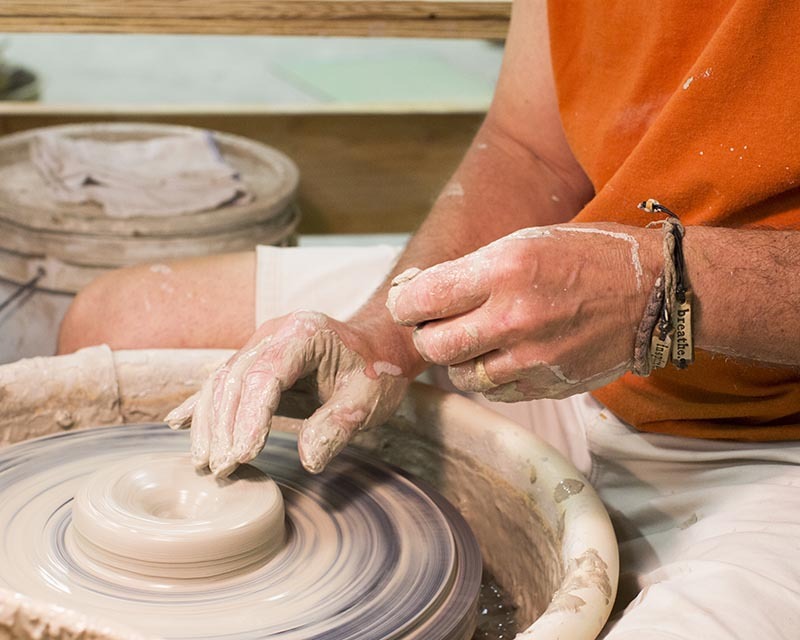 All of our glazes and underglazes are lead-free and nontoxic. 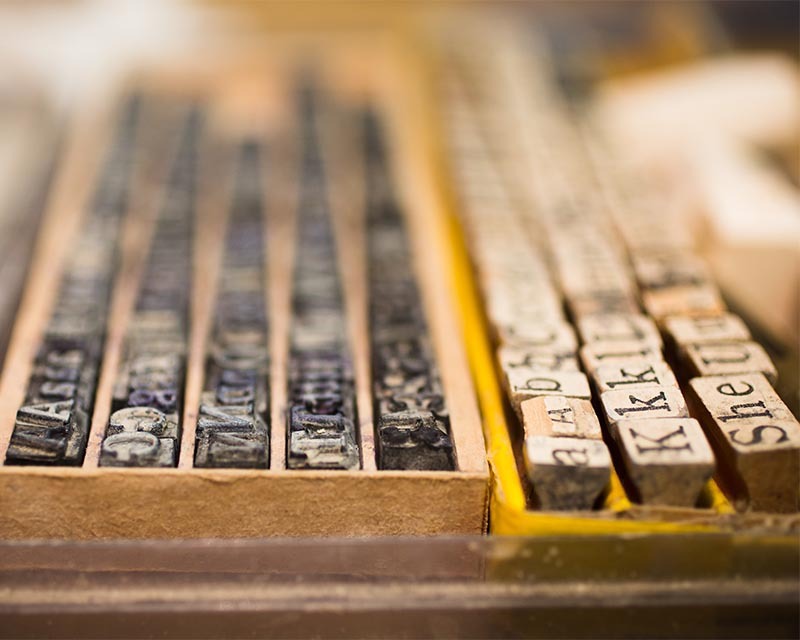 Passed down from generations, this old rubber stamp set is an anchor of our production process. Every Classic and Custom band starts with a mold made from hand-stamping these little letters one by one. As we strive to streamline production, our emphasis on quality goods remains strong. Every product goes through a careful screening process. If clay gets scrapped, we simply mix it into a new batch. There is always potential for the broken to be made new. Questions about our process, our products, or just wanna say hi? Our Customer Care team loves to hear from you.